The Easy Spin mop from Cleanmaxx can score with ease of use. 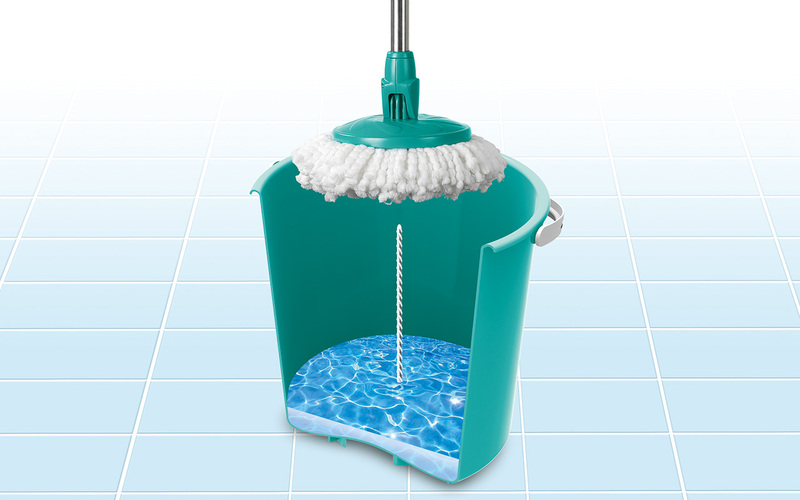 The system consists of the mop itself and the respective bucket, which features a spindle in the middle. The mop is set onto the spindle. By slightly pressing, it starts to turn and is effectively wrought out. This makes handling very easy; the user doesn’t need to bend down or exercise a lot of power for wringing out.